It's a photo I found on Pinterest. I love the simple and clean style of it. Although, I feel like my little cottage should be light gray. We'll see! So I took out my Primrose kit by Corona and got to work! I took the side without any cutouts and drew out my plans for 3 windows and one front door. Then I took the original front piece and I cut the "window" the same size as the original "front door". This will now become 2 floor to ceiling windows. And the other peaked piece with 1 window cutout will become our back support. I drew a 1" perimeter and will cut the middle out so you can access the interior yet still have a strong support for the roof. For the other side(opposite our new 2 floor to ceiling windows), we are going to use the attic floor. To make my cuts, I'm using my new Dremel Trio Kit. It does take a bit of practice to make straight lines. But if you go a bit off course you can sand your way back to a decent looking cut. So don't worry! 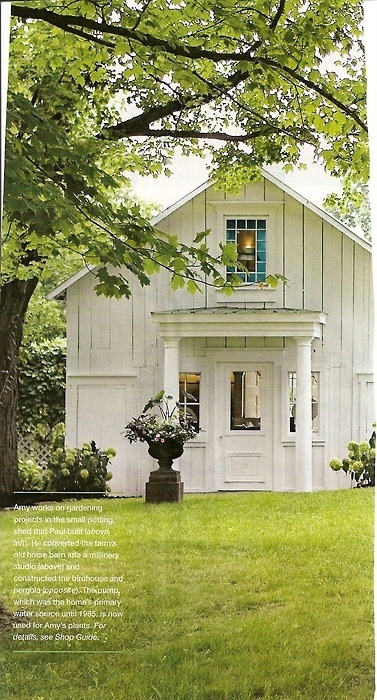 This is a cottage after all and it really adds character to have little mistakes. Off to make my cuts! More instructions tomorrow. Oh wow! This is going to be so sweet. Can't wait to see it finished. Hi! Thanks for all these photos on your new blog - they are great. Indeed, such an inspiration! Love the house you are basing your new project on. Look forward to seeing it's progress. Great photos on your new blog too. I'm sure it will provide a lot of inspiration for miniaturists and others. Your new project looks exciting. I look forward to seeing more. Congratulations whit your new blog. Hi Caroline, I am curious how the house will look like, I'll follow your progress. I like your new project and I'm looking forward to see it finished. wat leuk dat je ons zo laat mee genieten. ...and I didn't know dremel had such a cool tool! Hello Caroline! This should be a lovely little project for you and I will follow along to see the progress. I always enjoy seeing how standard kits can be transformed just like cinderella and her pumpkin carriage; you can do magic believe it or not....bibbidy bobbity boo! Congrats on your new blog!!!! The pictures are fantasic!! I love this kind of houses!! 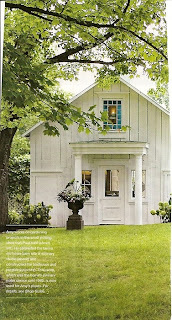 I love the inspiration for your new house. It's going to be so gorgeous!! Your new blog is wonderful, I'm off to look at it in more detail. Estoy sin ordenador y me he perdido alguna entrada tuya. Me encanta comprobar que estas empezando un nuevo proyecto, volvere para seguir aprendiendo de ti. know your rendition will look even better with all your wonderful details you include. Hope all is well with you hon. El proyecto es precioso y seguro que con tus manos e imaginación quedará perfecto,tengo ganas de verlo terminado!! !